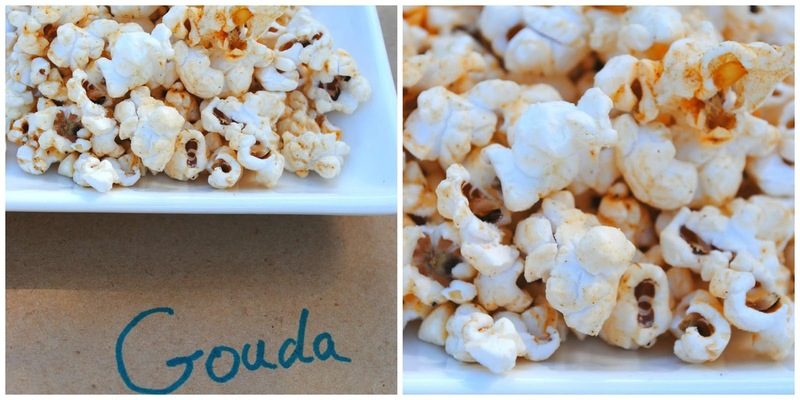 I first discovered Poplandia popcorn at the farmers market. They had samples out which my friend and I tried and we were hooked. We had to buy a bag. 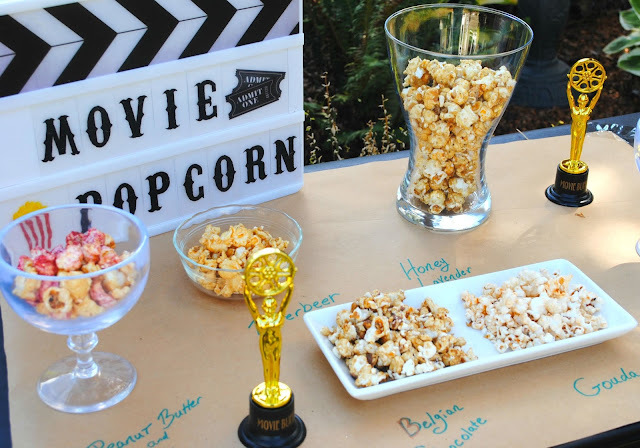 So of course when I hosted my first ever craft night I had to have their popcorn as part of the dessert bar. I follow them on Instagram so I can find out about any new flavors and when they had a contest I of course entered and I WON! WooHoo!!!! 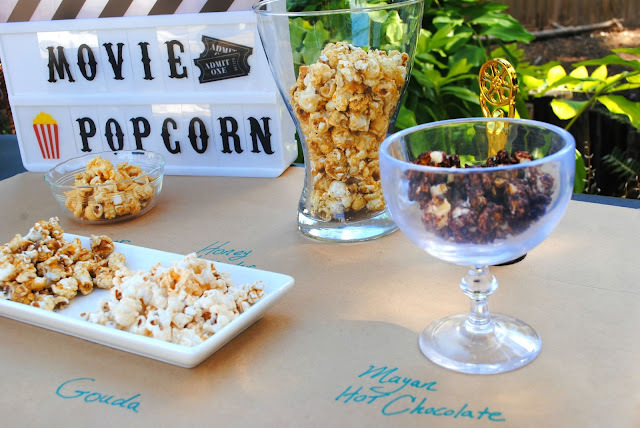 I'm all about the mini party so when the popcorn arrived I threw a movie night popcorn bar tasting so we could all try the fun flavors. To enter the contest you had to say which flavor you've been wanting to try. I said Honey Lavender because it sounded very interesting to me. Poplandia's site says. 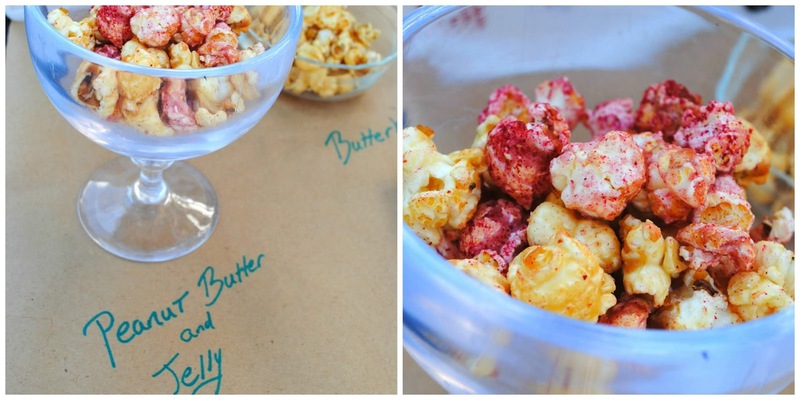 they infuse their white caramel popcorn with Stash Tea's Breakfast in Paris and extra lavender buds. They then sweeten the caramel popcorn with honey. My review- This flavor not only hits the taste buds, it hits the nose as well. 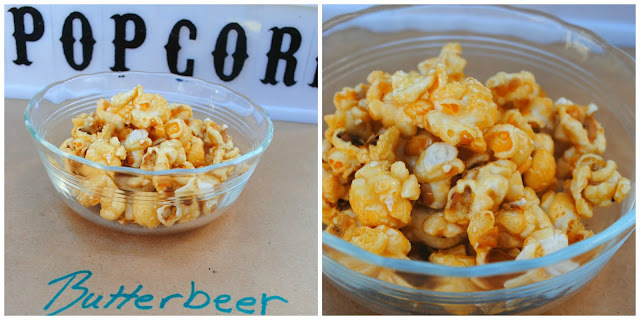 As the kernels hit your tongue you get a hint of lavender and because the lavender hits your nose as well it intensifies the flavor. The lavender isn't over powering. It's just the right amount. The honey gives it the perfect touch of sweetness. If you host your own movie night popcorn bar tasting party be sure to mark the flavors. Using craft paper as a table linen you can write the flavors right on it. Included in the package that arrived with the Honey Lavender was several little bags of other flavors. Poplandia's site says- We wanted to make sure you really got the true flavor of smoked gouda. My review- As soon as I opened the bag the smell of gouda hit my nose. 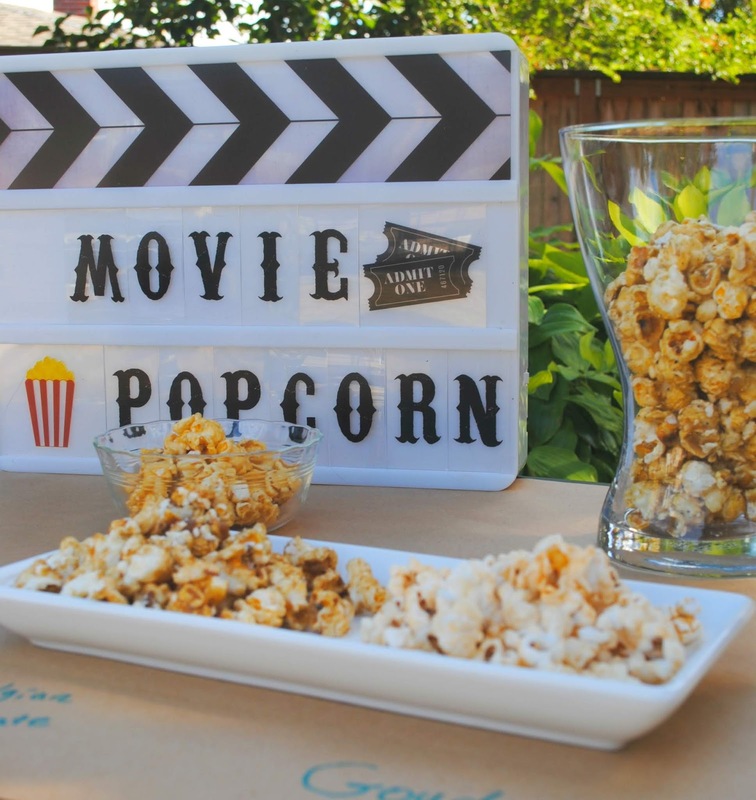 The popcorn was light and fluffy and had a strong cheese taste. I'm not a big fan of gouda or cheesey popcorns but one of my friends is so she happily ate all of it. Poplandia's site says they drizzle their sea salt caramel with Belgian milk chocolate. My review- You all know I'm not a big chocolate fan. I could go the rest of my life never eating chocolate and would be fine. So I wasn't sure I would like this popcorn. But it was really good. 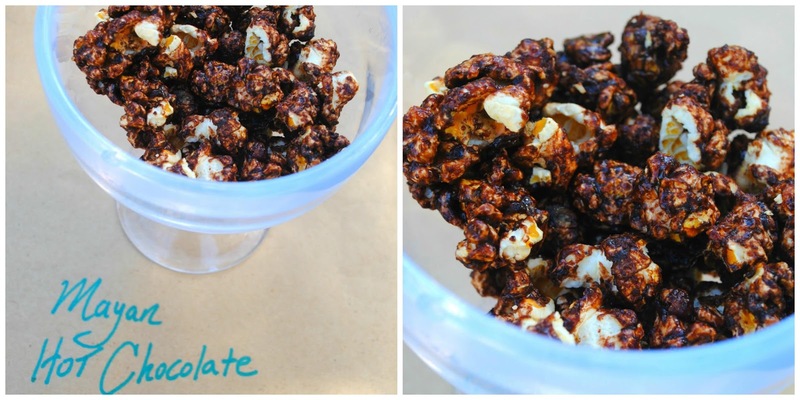 Just the right amount of chocolate was drizzled on the kernels. 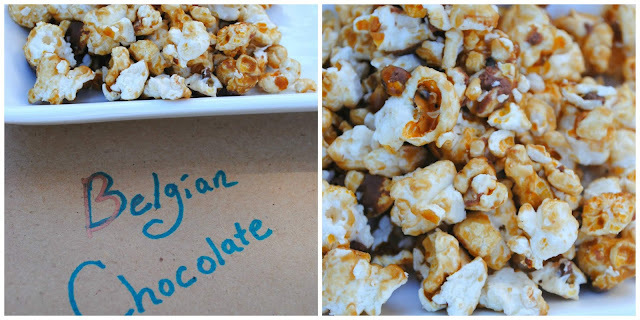 The chocolate combined with the sweet of the popcorn made it really tasty. Poplandia's site says- Robust butterscotch and cream soda caramel. My review- Delicious! 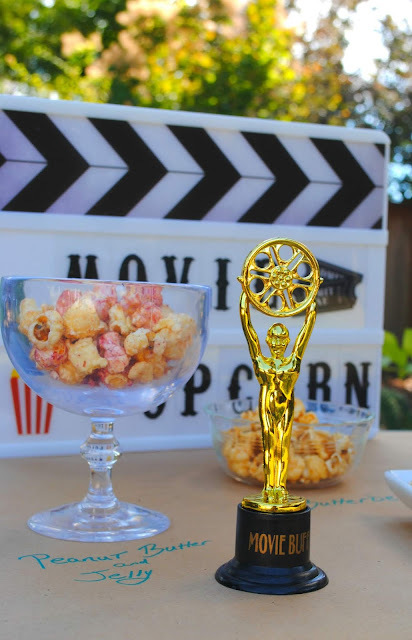 This is one of those popcorns that I would eat the whole bag by myself easily. It reminded me of Butter Rum Life Savers and I love those. I'll be sending a bag of this to my friend for her birthday because I know she'll love this. Poplandia's site says- Dark chocolate caramel with a cinnamon cayenne kick. My review- Definitely chocolate-y with a little bit of heat. I'm not a big chocolate fan but I did like the kick that hits you at the end. If you like chocolate and heat, you'll like this one. If you're like me and not a chocolate fan, you can pass on this one. Poplandia's site says- Tart raspberry popcorn coated in Thai inspired spicy peanut butter. My review- Another delicious flavor. Sweet berry flavor with a touch of peanut butter. I could eat a whole bag of this easy. If you don't live in Portland you can still try these delicious flavors by ordering from Poplandia's site. Their bags make great birthday and holiday gifts and their small treat bags are great for wedding favors and welcome baskets. oooh, they would be great to include in your guests bedroom welcome basket too. You know, for when your guests get the munchies late at night. 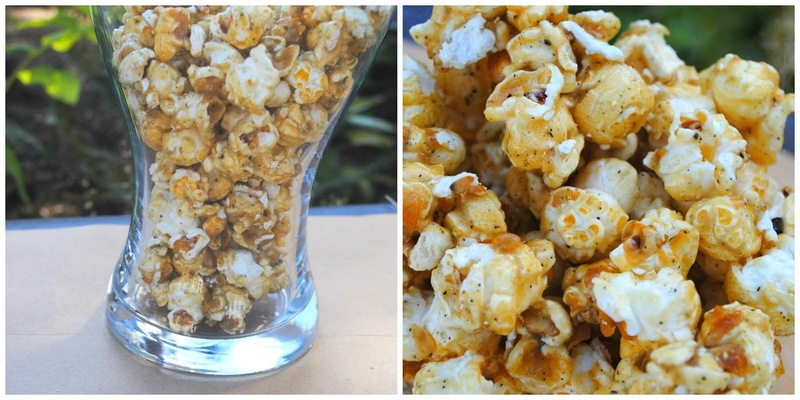 Orange Sea Salt- Caramel popcorn with citrus orange notes. Oregon Trail- Sea salt caramel tossed with peanuts, dried tart cherries, salty pretzels and drizzled with chocolate peanut butter sauce. Pumpkin Spice- White caramel spiced popcorn with toasted pumpkin seeds. Cake Batter- White caramel and cake flavor topped with sprinkles. Drop a comment below and let me know what flavor you've tried or want to try.